In the fall of 1971 and throughout 1972, their living conditions—their house was infested by fleas, inhabited by numerous cats and raccoons, deprived of running water, and filled with garbage and decay—were exposed as the result of an article in the National Enquirer and a cover story in New York Magazine after a series of inspections (which the Beales called “raids”) by the Suffolk County Health Department. 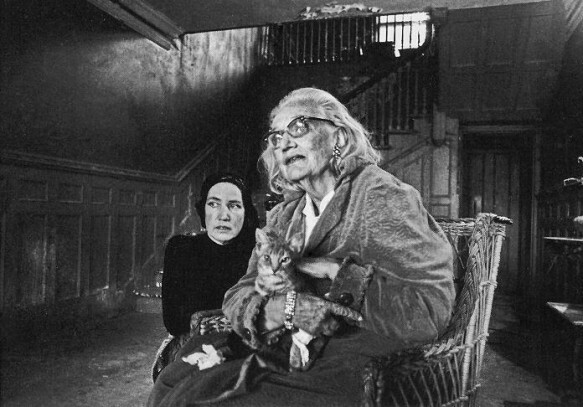 With the Beale women facing eviction and the razing of their home, in the summer of 1972 Jacqueline Onassis and her sister Lee Radziwill provided the necessary funds to stabilize and repair the dilapidated house so that it would meet village codes. 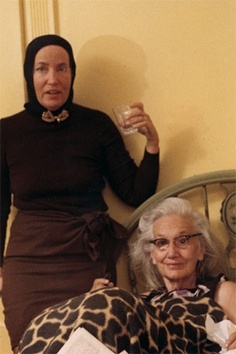 Albert and David Maysles became interested in their story and received permission to film a documentary about the women, which was released in 1976 to wide critical acclaim. Their direct cinema technique left the women to tell their own stories. The film went on to become an award wining Broadway Musical staring Christine Ebersole and Mary Louise Wilson; and then award wining film with Drew Barrymore and Jessica Lange. 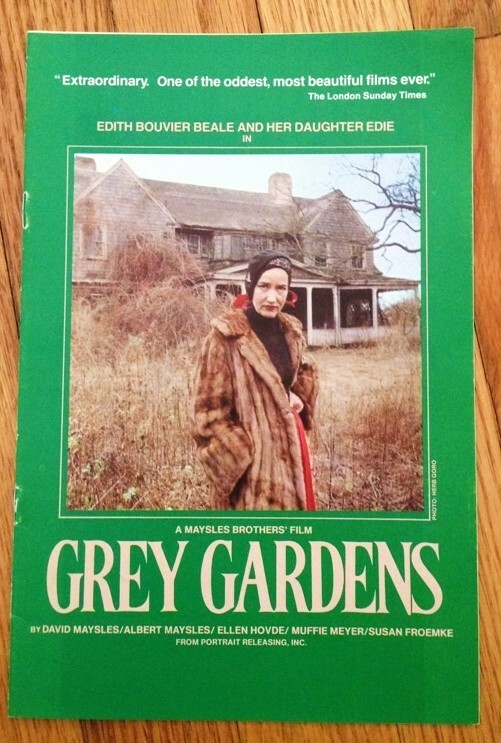 After Big Edie died in 1977, Little Edie was forced to put Grey Gardens on the market. Edie was distraught when she found that most of the prospective buyers wanted nothing more than to demolish the home and build a brand new one on the beachfront lot; never one to waiver, Little Edie refused to sell the home to anyone that did not promise to restore the mansion to its former glory. 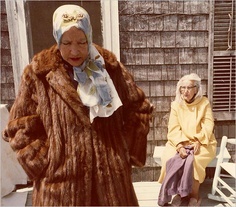 Ben Bradlee, the former executive editor of The Washington Post, and his wife, the writer Sally Quinn, made that promise and bought Grey Gardens from Little Edie in 1979. 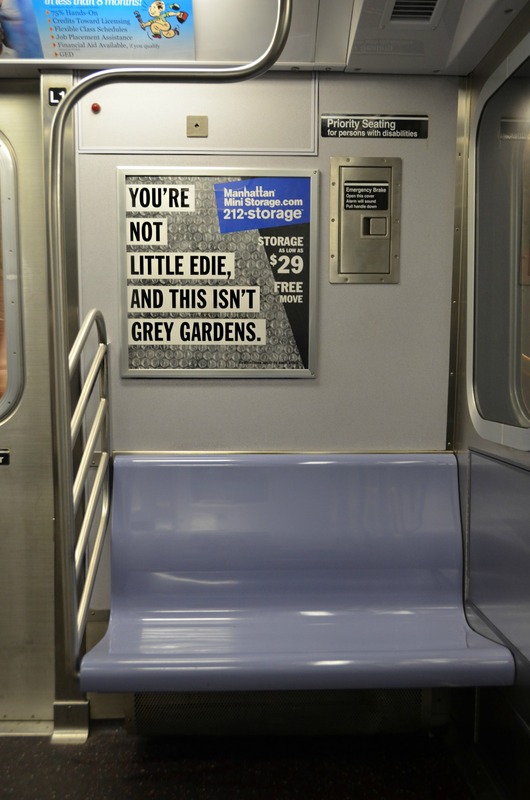 So, it was to my great delight and surprise that perhaps “Big” and “Little Edie” aren’t really gone, they are just living in a grander home – Grand Central Terminal! I spotted the pair while rushing home and immediately was fascinated at the resemblance and fell in love with them.